When people think of holidays in Germany, glorious beaches are not the first thing that springs to mind. However, on the stunning North Sea island of Sylt, that is exactly what you'll get. With a dramatic coastal landscape and endless sandy strands, Sylt is perfect for those who love the seaside. Home to it's own unique dialect and Frisian culture, the island has got a lot more going on than just beautiful beaches. 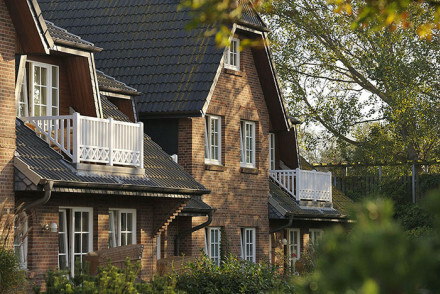 Our selection of the best places to stay in Sylt put the island's abundant natural beauty at the fore of their service. Sylt's biggest draw is its incredible expansive beaches that are perfect for summer sunbathing as well as beautiful beach walks. The island is a haven for windsurfers and hosts an annual Windsurf World Cup at Westerland beach. Surfing is also a big part of island life on Sylt and the 25 mile long beach that stradles the west coast of the island, is home to a vast number of surf schools. If you've had enough of the beach, the island offers a host of excellent hiking routes. The beautiful 13th century St. Severin Church is definitely worth a visit. One of the best things about Sylt is that because of its size you're never too far from the sea. It boasts some superb hotels and our selection of the best places in Sylt range from trendy boutiques to classy beachside hotels. Landhaus Stricker embodies the island's superb hospitality culture. Boasting delightful rooms, a deluxe spa and nearby access to Sylt's best beach, it's got all the components of a great hotel. However, what really pushes it on to the next level, is its divine michelin starred restaurant and extensive wine cellar. 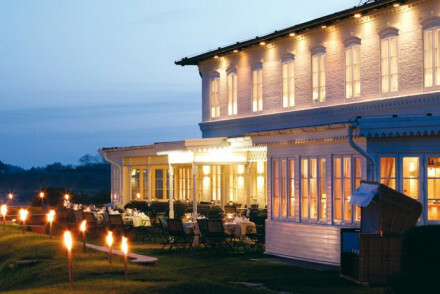 Färhaus Sylt is a fabulously renovated Victorian hotel offering wonderful five-star service. Despite featuring luxurious rooms and an extensive spa, the hotel's pièce de résistance is its dining options. With three restaurants, including one with a michelin star, this hotel is a culinary hotspot. Kontorhaus Keitum combines a classy contemporary aesthetic with excellent service to create a high quality hotel. With stylish rooms that offer stunning views out to sea and an excellent restaurant, this hotel is the perfect launchpad for exploring Sylt. 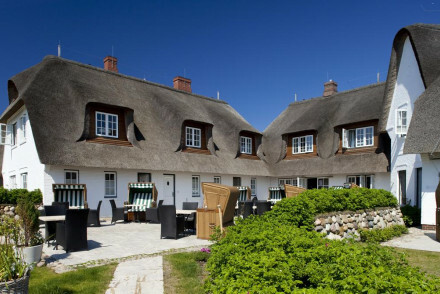 A vision of the traditional Frisian thatched house, Hotel Benen Diken Hof is an excellent hotel by the sea. It's perfectly planned out for families with family suites, an excellent kid's club and in-house childcare services. With the beach nearby and a deluxe spa, there's plenty on offer for all ages. Set in the charming village of Kampen, the Hotel Village Kampen places comfort and relaxation at the top of their priorities. The stylish rooms exude warmth and the hotel's spa is perfect for unwinding in after a day at the beach. Aarnhoog, with its beautiful redbrick and thatched roof, brims with Frisian charm and character. This is the ideal refuge after a day on the beach with its luxurious rooms, indulgent spa and indoor pool. 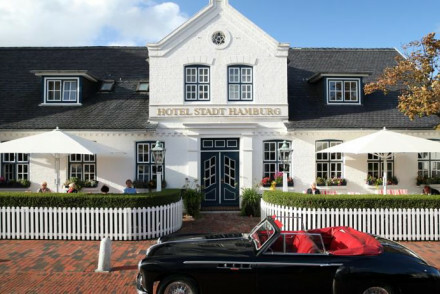 Built amidst the dunes and facing out to sea, Hotel Stadt Hamburg is a delightful place to stay. Boasting comfortable rooms, an asian style spa and an excellent seafood restaurant, there's a lot to like about this hotel overlooking Sylt's sandy west coast. 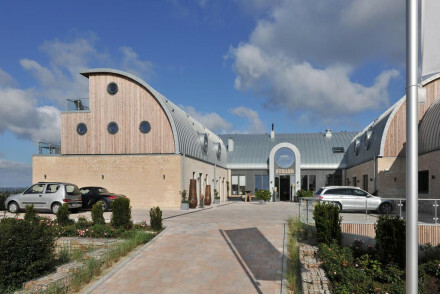 Sol'Ring Hof is a simply stunning hotel right on the North Sea. Step off the beach into this glorious hotel that boasts luxurious rooms, fantastic views and a sublime two michelin starred restaurant. A seaside gem. You can connect on to Sylt Airport through all of Germany's major airports. Sylt is linked to the mainland by a railway topped causeway called the Hindenburgdam which leaves from Niebüll or Klanxbüll. Some train services can carry cars, so for those looking for car hire we recommend you visit our online partner Rentalcars. Sylt is not famed for its hot weather given its northerly positioning but for the best chance of good weather, we recommend visiting from June to September. Browse through our list of the best places to stay in Sylt. Expand your search to include all our recommendations in Schleswig-Holstein. For some personal travel advice please feel free to contact one of our friendly gurus. 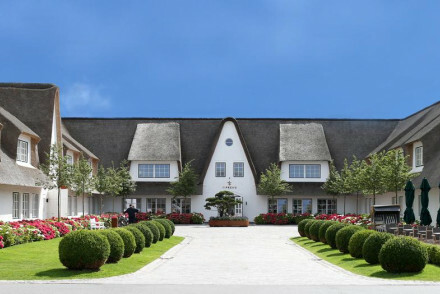 A fabulous Five Star hotel on the island of Sylt. A beautiful house with a Michelin star restaurant, enormous spa, wine cellar, and rooms and suites in sophisticated style. Not far from the beach and the brilliant natural surroundings. An ideal spot for the luxury traveller, and still good value. Foodies - The gourmet Michelin star restaurant and wine cellar are ideal for foodies and wine lovers. Spa breaks - 700 m² spa provides treatments, relaxation and fitness. 5* Luxury - Top of the range facilities and beautiful interiors. 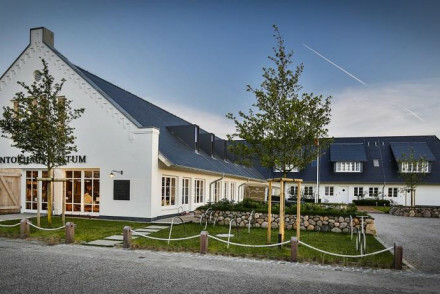 Set on the North Sea island of Sylt, Kontorhaus Keitum offers deluxe suites. The suites focus on harnessing natural light and are stylishly decorated with adjoining patios offering great views of the island. Perfect for a weekend of exploring the abundant beauty of Sylt. A wondrous island retreat. Sights nearby - The 13th century St. Severin Church is ten minutes walk away. Restrictions on children - Children cannot be accomodated for at the hotel. 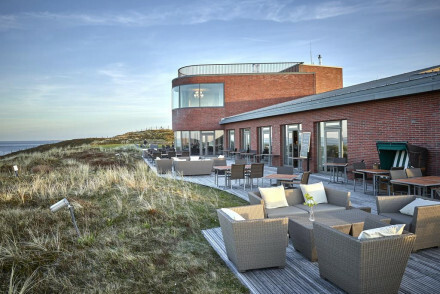 Experience the best of Frisian hospitality at this gorgeous hotel in a nature reserve on Sylt island. Enjoy the elegant, airy rooms furnished in subtle shades. Relax in the luxurious spa, try regional dishes in the acclaimed restaurant, sniff the sea air and explore scenic trails by bike or on foot. 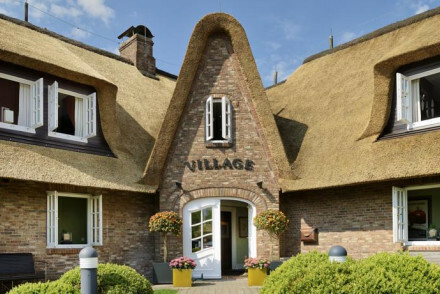 A gem of a hotel in a renovated Frisian house with thatched roof. Elegant rooms have crisp modern furnishings and sleek parquet. Additional accommodation in houses and apartments. 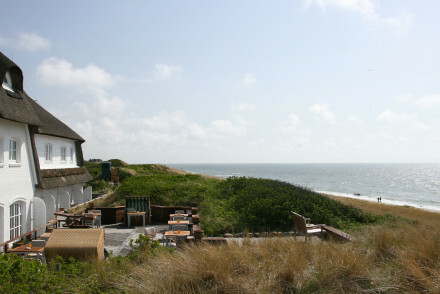 A great place to relax and enjoy the sea views, the superb spa, Sylt's lovely beaches and a variety of fun activities. Superb property with its own beach on the beautiful island of Sylt. Fifteen bright, smart apartments with stunning views, plus spacious double rooms and suites. Splash in the pool, relax in the sauna, hike, cycle, canoe or windsurf. All the ingredients for the perfect seaside holiday are here. This attractive property on the magical island of Sylt offers elegant suites in soft tones, designed with utmost attention to detail. Relax on the beach, take a nature walk or enjoy myriad activities from cycling to golf to windsurfing. At the end of the day, soothe tired muscles in the superb spa. 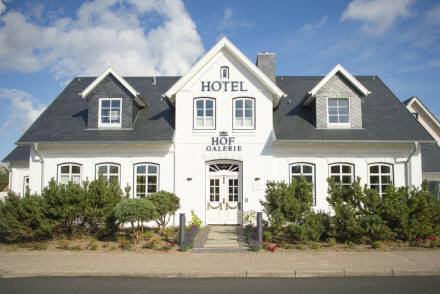 An elegant Sylt hotel, just minutes from the beach. The hotel features a variety of spacious and contemporary rooms and suites. It's incredibly family friendly with a kids' club and childcare services, and a luxury spa for mum and dad. Sip on a drink by the fire or out in the lush garden. Total relaxation - Enjoy the hotel's spa facilities or spend a leisurely day at the beach, the perfect spot to sit back and relax. Families - Perfect for a family getaway with a kids' club, family rooms and childcare services. Surfing - Head down to the local surf school and try your hand at catching some waves. Great walks - The lovely Wattenmeer Nature Park is just a short walk from the hotel. A charming village inn lovingly converted into a small luxury hotel. Individually styled rooms mix traditional warmth with chic contemporary style. A small spa, complete with indoor pool, is the ideal place to unwind. Enjoy a regional tipple in the cosy bar. Highly recommended for rural relaxation. Country Escape - Spend days in the great outdoors before retreating to the cosy hotel and spa. Sights nearby - Head off to check out Kempen's famous lighthouse, and the range of galleries on the island. Great walks - Take long coastal walks before retreating to the firelit lounge. 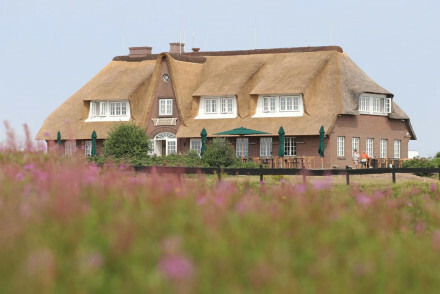 A beautiful privately owned hotel on the Island of Sylt. Surrounded by sea and dunes it sits in a romantic setting. Boutique chic interiors include sophisticated rooms and suites, an Asian spa, a gourmet seafood restaurant, wine cellar, and lunch bistro. Family friendly, gourmet, and romantic. Beach Life - The hotel is only six minutes away from the beach and offers excelent views of the sea. Total relaxation - Unwind in style with the Asian-style spa, with sauna and massage treatments. A charming property walking distance from the coast. Beautifully renovated rooms with warm hues, comfy beds and contemporary bathrooms - some with free standing baths. An indulging spa includes a sauna and indoor pool. A wonderful spot to return to after a day in the great outdoors. 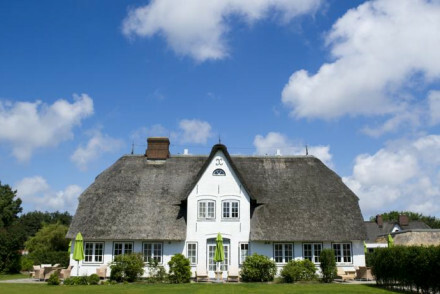 Country Escape - A quaint rural property located on the island of Sylt with miles of coastline to be explored. Sights nearby - Climb up one of the four lighthouses on the isalnd. Great walks - Miles of coastline make for stunning walks. Stunning 5* seaside hotel and spa on Sylt island. Bright, airy rooms - stylishly decorated with soothing natural materials - have magnificent views. Two acclaimed restaurants serve imaginative cuisine. While golfers tee off beside the sea, other guests can enjoy the beaches, cycling and watersports. 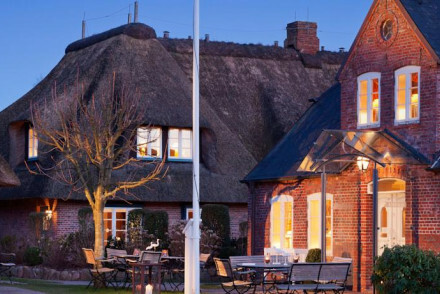 An exquisitely renovated Victorian hotel, on the lovely island of Sylt. Five star luxury with impeccable service, a choice of two restaurants, a bar, and a full service spa. Bright contemporary rooms with chic and stylish interiors, and views of the Wadden Sea coast. A breath of fresh air. Romantic Break - A charming hotel in a stunning location, with pampering spa treatments, chic interiors and excellent service. Beach Life - Located on the North Sea Island within the national park of the Wadden Sea, offering a lovely beach area. Foodies - The hotel boasts three excellent dining options including the Michelin starred Restaurant Fährhaus. Birdwatching - Sylt boasts an impressive array of wildlife, particularly birds. Set amidst 3 hectares of parkland, this 5-star resort is built within traditional thatched-roof cottaging. The rooms feature spacious seating areas and stylish decor. Includes a quality restaurant, swimming pool and extensive spa boasting no less than 5 saunas. A delightful stay. The Sol'Ring Hof is a spectacular hotel, that perfectly captures that edge of the world feeling. To add to its staggering setting it has luxurious rooms opening out onto the beach and a sublime two michelin star restaurant. A sensational seaside spot. Romantic Break - Romance abounds at this picturesque seaside hotel with pampering spa and stunning views over the island of Sylt. Foodies - Foodies will love Johannes King's country kitchen restaurant, with refined authentic Nordic cuisine. Local markets - Explore the charming local markets of Sylt and pick up some souvenirs to take home with you. Great walks - Make the most of the beautiful walks along the stunning Sylt coastline.